Georgie Carroll thinks Draco and Harry were destined for one another. The final words of the Harry Potter series are ‘All was well.’ Over one million words led up to those three, and within them, JK Rowling built a wonderful world full of depth and brilliant characters. She gave those characters life, a story, and in the epilogue, a future. However, when she handed the final version of Harry Potter and the Deathly Hallows in for publication, she was handing over her authority of the text. From that moment, fans gained creative control of the characters. But Rowling appears to have missed the memo. 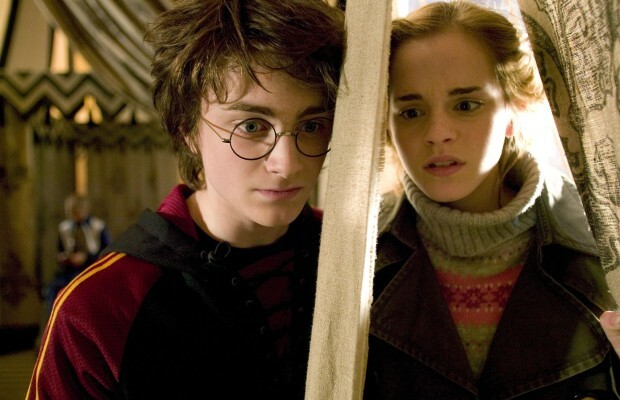 Over the past six and a half years, Rowling has made many comments adjusting the lives of the characters in her series. From the revelation that Dumbledore was gay to her recent affirmation of love for the Harry/Hermione pairing, she has constantly infringed on her readers’ right to creative speculation. It’s fair to assume that everyone, when reading a text, has thought about the characters, their lives and behaviours outside the written word, if only for a moment. Fans take it a step further: they write down these ideas, they create art, and they design lives and futures outside of what is on the page. Fan creation through fan-fiction and fan art is something we should be supporting. But every single time an author makes comments about their story that were not included in the original text, they are taking away the voice of the fans. When JK Rowling said at a recent talk that Harry truly and deeply loved Ginny, she is telling her readers that they are wrong in the way they interpret her text. Just because Rowling created the Harry Potter series and the characters that inhabit it, her retrospective word is not final, or even correct. Authors do not hold a privileged position in speculation, and we should treat their voice as one of many, rather than as an authority. The simple fact is books belong to their readers, not their authors. The canon of the text exists within the published pages, and that canon and only that canon actually belongs to the author. This means that things like Harry and Ginny’s marriage are canon, but the amount of love between them? That’s up to the fans to decide. A huge part of reading is interpretation, and that is the domain of the fans. Fandom is a place where readers are able to become creators and develop their own ideas of what should have happened, a process that simultaneously creates communities and inspires creavity. My personal reading of the Harry Potter series is that Harry Potter and Draco Malfoy had some form of a romantic relationship. The very idea that Harry could end up happily married to total fangirl Ginny Weasley is, to me, laughable. Before Ginny ever meets Harry, Ron tells him that, “she’s been talking about you all summer”, and Fred adds, “she’ll be wanting your autograph”. It is clear that Ginny is in love with idea of Harry as a Prince Charming rather than an actual person. Harry and Draco, however, have a much more complicated relationship. I’d be happy to talk for hours about every single piece of evidence supplied in the series, but a line in the sixth book stating that Harry “was rapidly becoming obsessed with Draco Malfoy” should do the trick alone. There are many fans out there who share in my belief of the love between Draco and Harry, but there are just as many who believe Harry and Hermione were destined for each other. Other think that Harry and Snape had an illicit affair, and some even think Harry could actually be in love with Ginny. Every reader has a different interpretation, but rather than this making some of them wrong, it is what makes fandom so brilliant. Millions of fan theories, ideas, and stories exist, and every single one of them presents a new view, a fresh perspective and a valid reading of the original text. I believe in a grand love story between Draco and Harry. But more than anything, I believe in my right to believe in that love story, no matter what Rowling says next.